It hurts me deeply to inform you that we have lost a great member of our NanoCellect family. Larry Bock past away recently from complications of pancreatic cancer. He was a strong supporter and mentor to NanoCellect all the way back when it was just an idea. Larry was not just an advisor to our team but a true mentor and friend. He was my inspiration in going into the exciting entrepreneurial path and a great person to look up to. He was always available for a phone call no matter what the situation. His stories and experiences he shared with us will always be remembered. Whether you knew him very well or never got a chance to meet him, he will continue to have an impact in our lives and for NanoCellect….as he did with countless other startups and lives he touched. I got to know Larry when we did the inaugural San Diego Science Festival and learned first hand how a ruthless perfectionist he was….which always lead to amazing results. His last legacy was creating the USA Science Festival. In keeping that legacy, the family has requested that donations be made to the Festival to continue the legacy Larry has built in lieu of flowers or gifts. 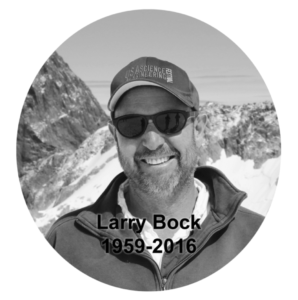 Larry Bock, We will miss you!